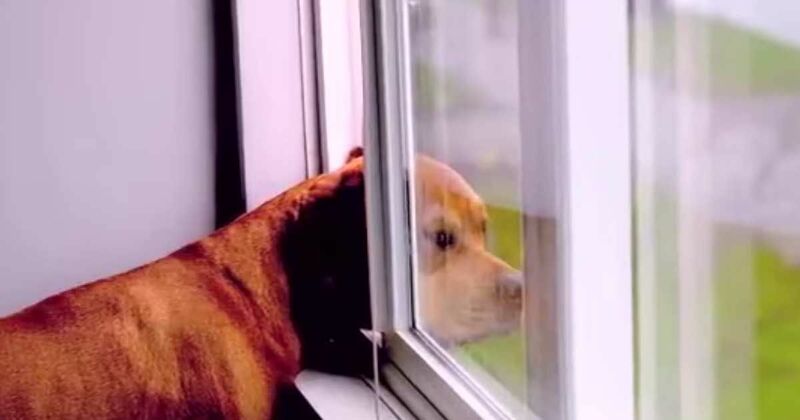 This dog patiently waits for his owner every day. How was the human race so blessed with dogs as companions? God wanted it so. Even if you don’t believe in God, you just might change your mind after you watch the video below. In the video below, the narrator talks about the myriad ways that dogs enrich our lives. I’m not talking about the heroic things that many dogs have done, although that would be reason enough to believe. I’m not talking about any particular breed, although the plethora of breeds and types have served particular purposes as they’ve worked beside us to accomplish so many and varied a task. And I’m not even talking about the tricks and stunts that they do to entertain us or win ribbons for us or bring us glory. I’m talking about just being dogs. From their excited greeting in the morning to their tail-wagging welcome home at night, from their simple flop down beside us to watch a TV show they don’t understand to their enthusiastic romp in the woods that they do understand, they are happy just to be with us. If you believe in God, you’ll be teary eyed as His love is shown through the four feet he put on a body of the purest love you’ll see this side of heaven. If you don’t, you just may wonder how you can look at a dog and NOT believe. Watch the video below, and you’ll find a pathway to the Creator who knew that His human creation needed a companion like no other. Then share it with your friends! Resources Sherif Shaalan "God Made A Dog"